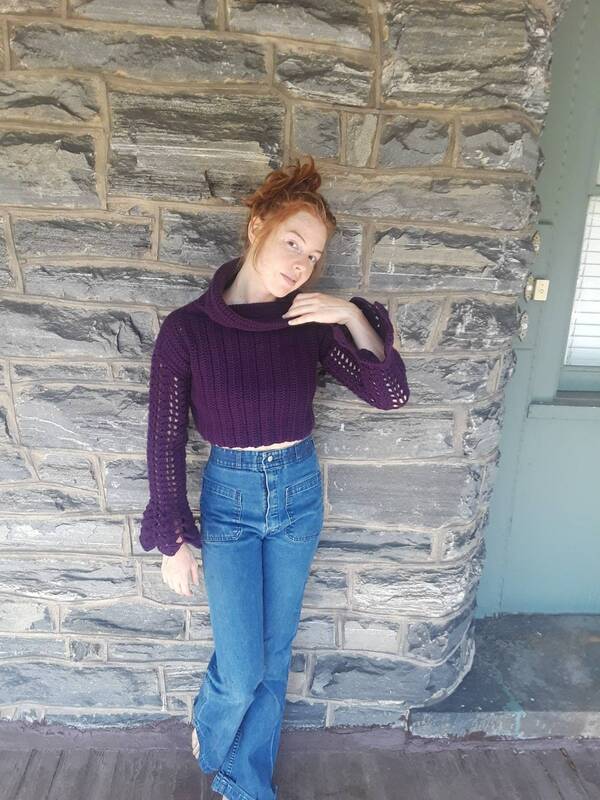 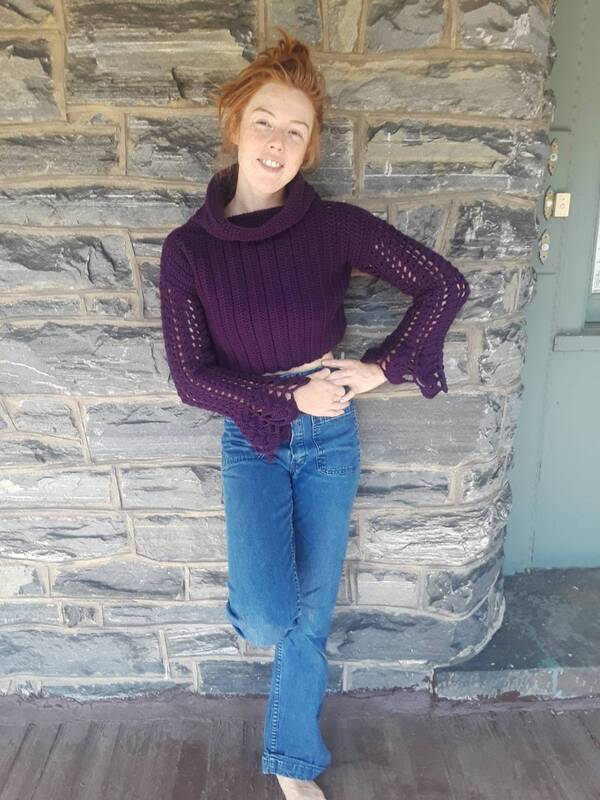 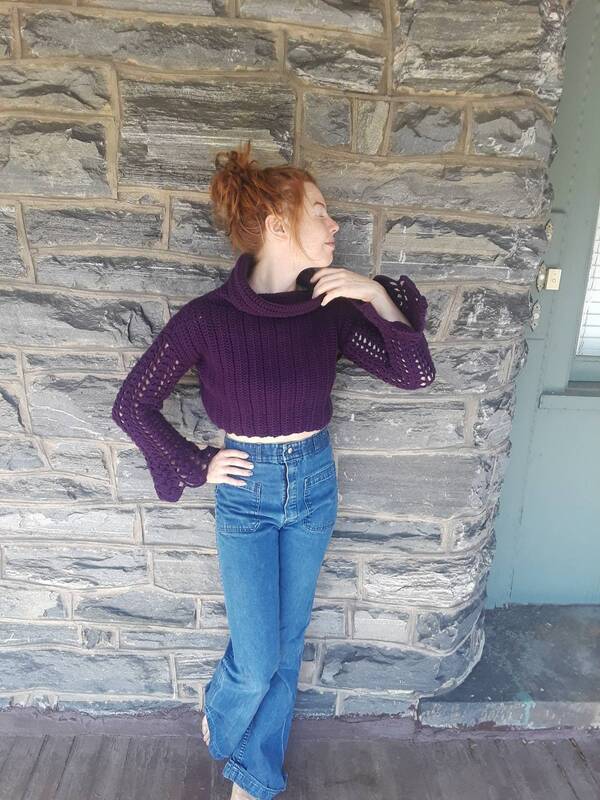 This is a purple cropped crochet sweater featuring turtle neck, lace bell sleeves. 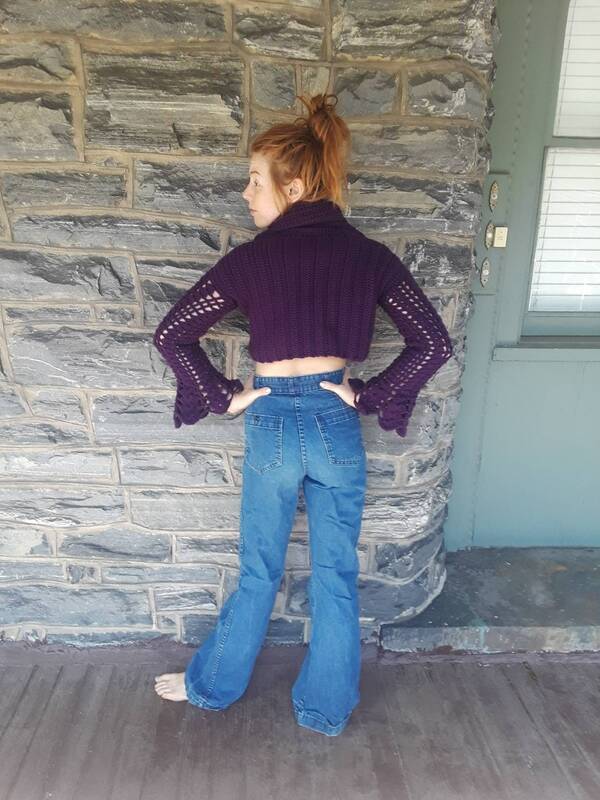 As it gets cooler you will need something to keep you warm but you want the freedom to express your unique individual style. 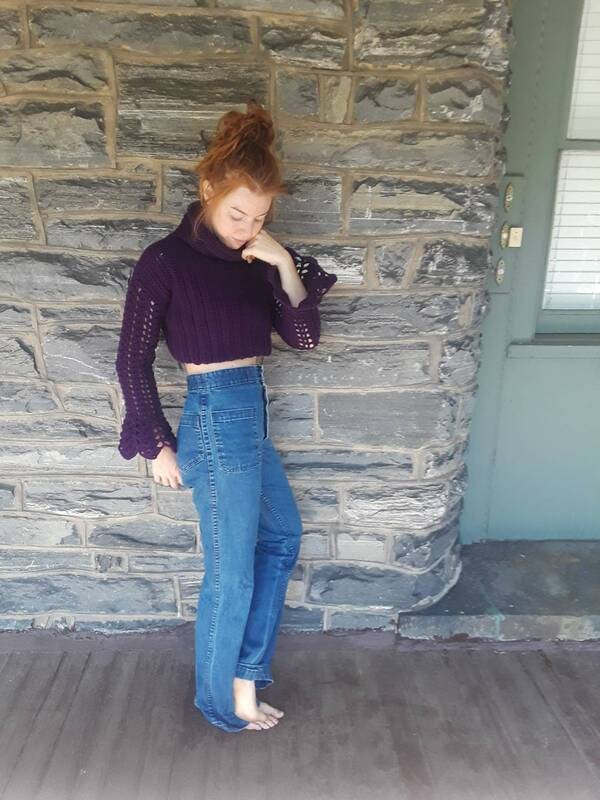 This cropped sweater is the perfect solution to breezy nights, chilly offices and cold shoulders. 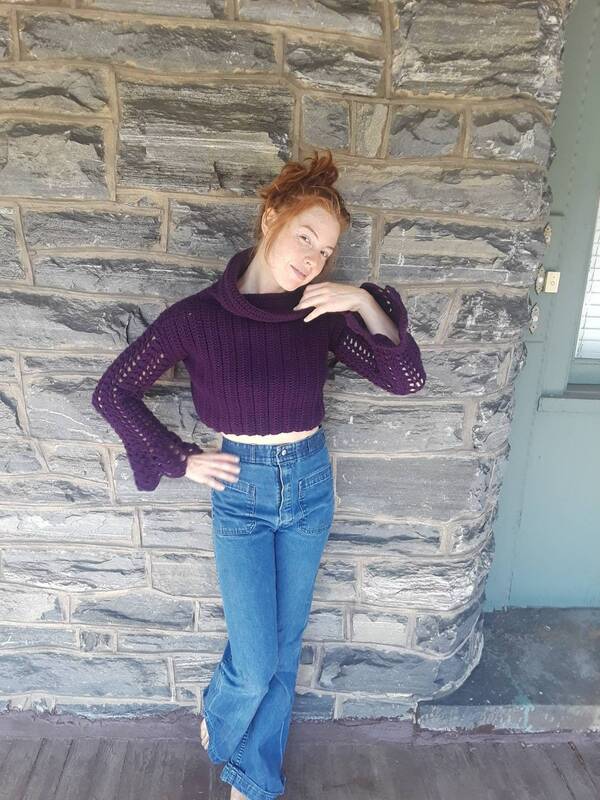 This sweater is great for those transitional months or times when all you need is little coverage.